What type of quilt batting is best? This week I was asked which batting was better, specifically if 60/40 wool mix was better than 100% wool batting, and what a dilemma this question of better/best poses. 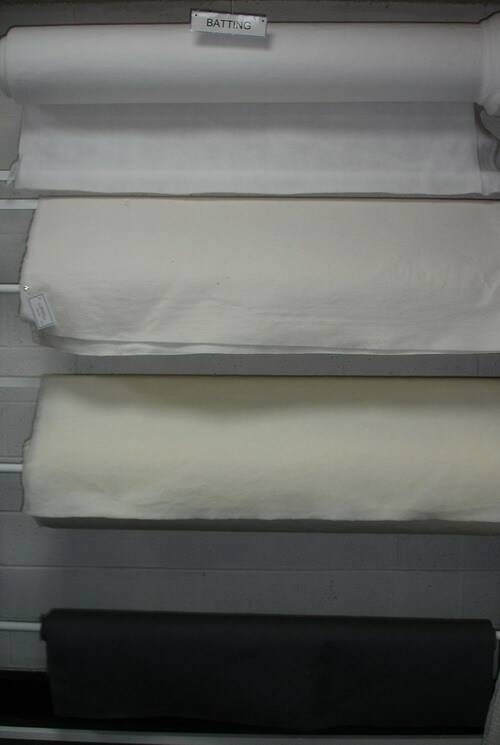 The quilt batting rack in the shop holds a roll each of wool/poly batting, in natural & charcoal, plus a roll of cotton /poly and a roll of very thin pellon style polyester. There are a multitude of battings on the market, and the choice of batting is determined by many factors, so the following comments are based on my quilting experiences, and observations, and will not necessarily agree with your quilting experiences and observations. I have always used the 60/40 wool mix as I like the idea of the polyester scrim & needle punching to stabilise the wool fibres. My quilts are all soft, with a nice quilting definition, and they can withstand gentle machine washing on a wool cycle without the fibres migrating through the cotton fabric. Although there is that element of synthetic in the batting, the quilts are still comfortable to use all year round as they “breathe”. Batting is always a personal choice so the other thing to consider is how you plan to quilt …. 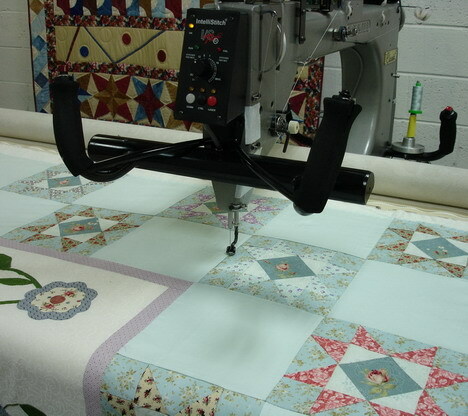 hand quilting, domestic machine quilting or longarm quilting all have different requirements. I machine quilt with a longarm machine, holding the handles as I guide the machine head over the quilt, so I can “feel” the effort required for the needle to push through the batting. 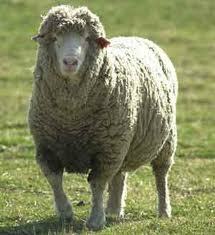 I have found that the needle passes through the wool & wool/mix battings much easier than through cotton batting. You can actually feel the vibration, & hear the needle “punching” into a cotton batting, as it stitches. The only time this is not noticeable is when the cotton batting has been pre-soaked/pre-shrunk so that it has been softened, and then the needle action is smoother, but still not as smooth as for a wool batting. Surprisingly, even though bamboo batting is also made from a plant fibre, it has a softer stitching action with the needle passing through the quilt sandwich almost as easily as the wool & wool mix battings. A word of warning here though, don’t be tempted to pre-wash bamboo batting, it needs to be stabilised inside the quilt before washing. So, although I am a machine quilter, and do very little hand quilting, wool or wool mix batting would be my choice for hand quilting. Cotton batting creates a static relationship with cotton fabric so that it “sticks” to the fabric. 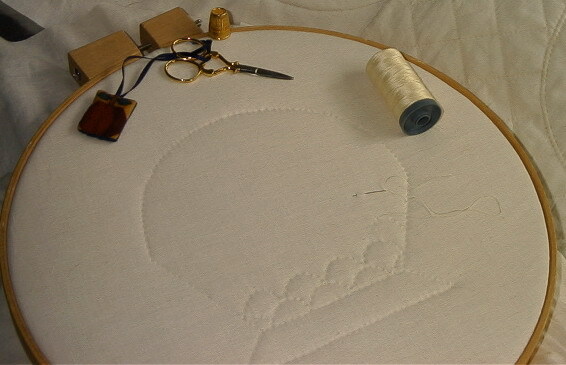 This can be useful when quilting on a domestic machine, provided the quilt is flat and has been well basted before hand. However the static relationship is not desired when quilting with a longarm machine where the quilt & batting are moving independently of each other. In this situation the static relationship can form tucks & pleats very easily. 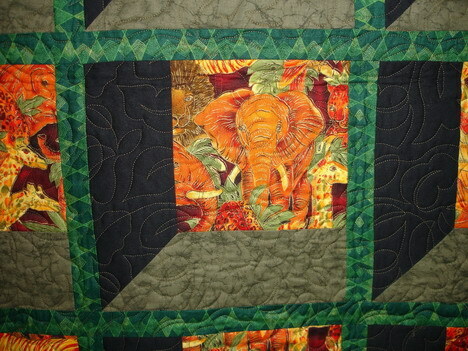 The other factor to consider is the finished appearance of the quilt. Do you like a quilt to have a traditional fluffy appearance or a flatter smoother texture? You will achieve a traditional fluffy result by using a cotton batting that has not been pre-washed, as this will allow the shrinkage resulting in the first wash to puff up around the quilted stitching. Wool, wool mix & bamboo battings do not seem to have this same effect so the quilting texture will stay very much as it was when first quilted. So you can see, “best” statements should always be put into context so that you can see how the writer/speaker works, and understand why their choice of batting is best for that person/job. This entry was posted in Patchwork, Shop Snippets and tagged batting, hand quilting, Longarm, machine quilting, Patchwork, Quilting. Bookmark the permalink. Thanks, this is a very helpful posting. I do domenstic machine quilting with bamboo but the nest one I will do with cotton to compare .